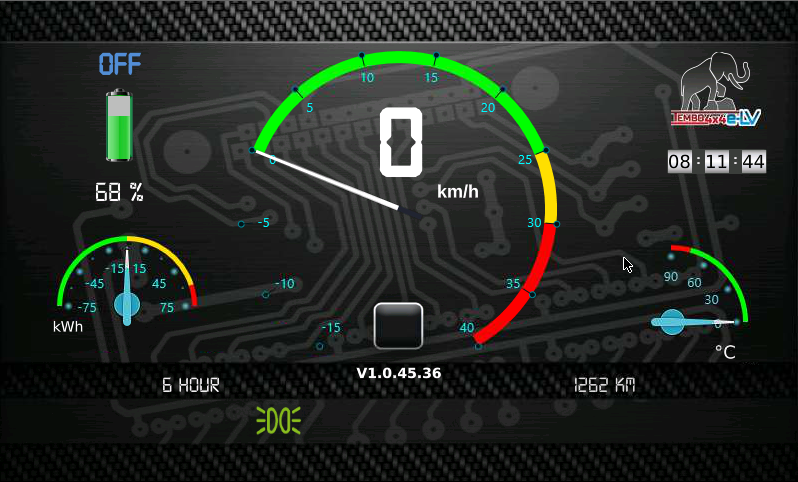 The digital instrument cluster enhances the Tembo 4x4 e-LV operator experience. 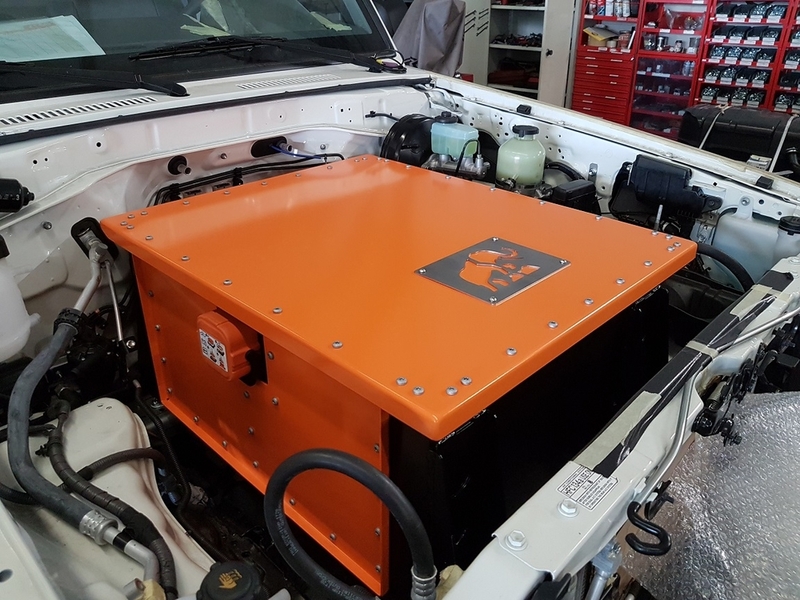 The original Land Cruiser or Hilux engine, gear & transferbox are removed and replaced by the E-motor fitted on a newly designed Tembo 4x4 1:3 reduction gearbox in combination with a genuine Toyota full-time 4x4 transferbox. This combination eliminates engine oil changes, clutch & gearbox repair and no winding up from the front drive line what will save CV-Joints and drive much smoother when cornering. 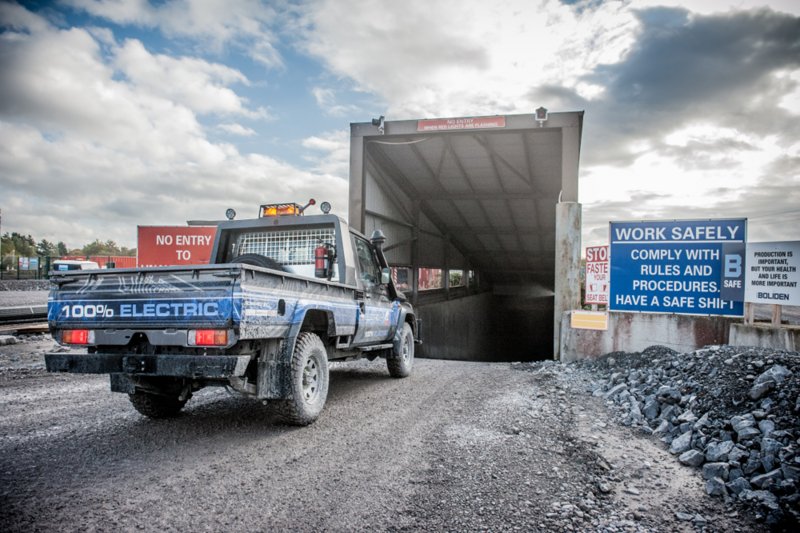 The E-motor has a huge braking capacity of 22kW taking over 90% of the vehicle braking, saving the standard service brakes. 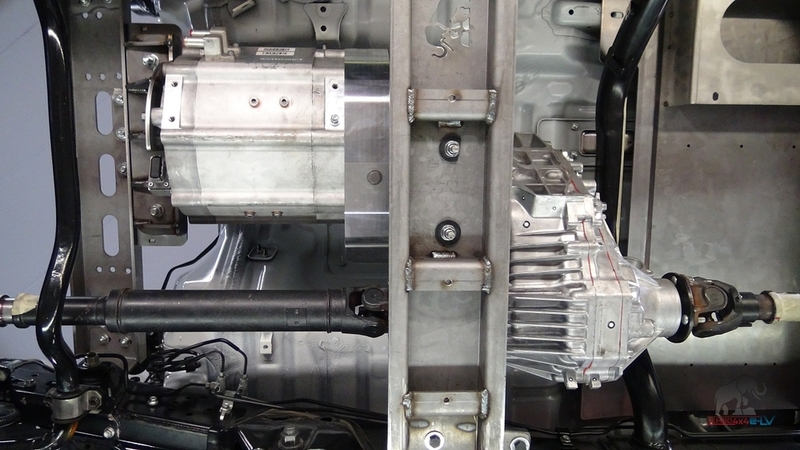 All components are treated for high corrosion resistance. 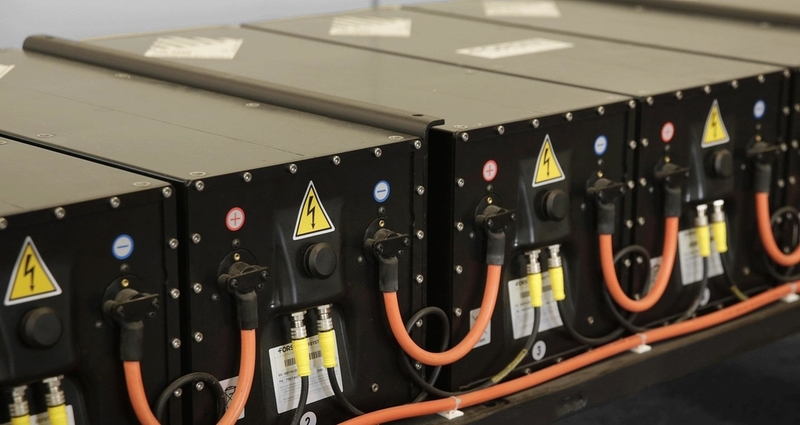 The specially designed for this purpose Lithium-Ion Graphite/NMC(G-NMC) battery is a modulair design, controlled by a BMS(Battery Management System) and is watercooled and can be heated for sub zero area's. The battery housing is heavy duty and water- and dustproof. 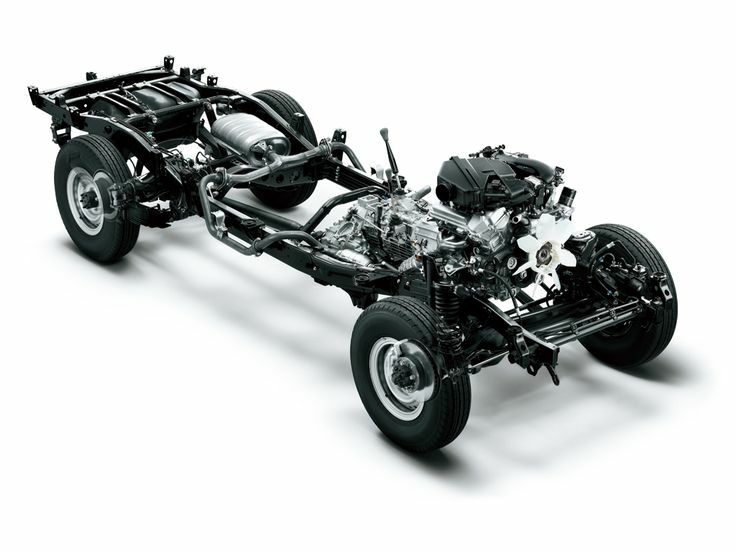 For better weight distribution the battery pack is divided in 2 packs, with one fitted in the front motor compartment and one in the back of the chassis, replacing the diesel fuel tank. 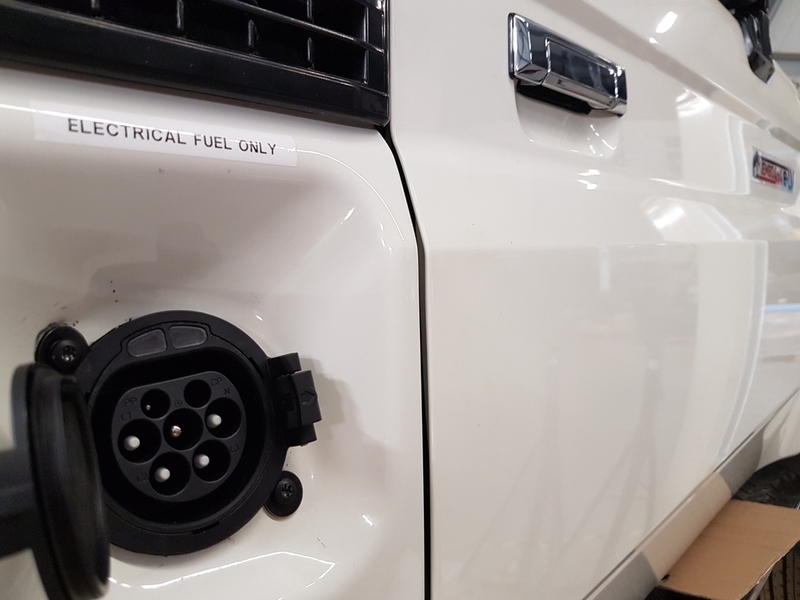 - As standard a 1phase / 15kW charger is onboard so no need for a new infrastructure. - The E-Motor recuperates energy upto 22kW back to the battery driving down an incline while braking at the same time. meets the Machinery Directive 2006/42/EC. In cooperation with TÜV Nederland.